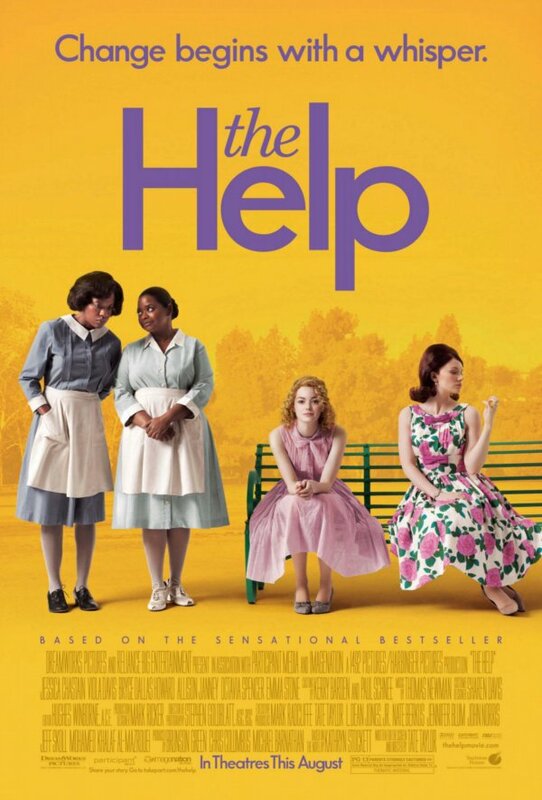 The Help is a period piece set in the area where I grew up, so I was especially keen to see if they “got it right.” To my absolute delight, they did. This is probably because the writer of the best-selling book upon which the movie is based and the director/screenplay writer are actually from Jackson, Mississippi, where the story takes place, and it just so happens the two of them were childhood friends as well. 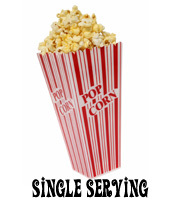 At the heart of this film is a story about women – young, old, black, white, wealthy, poor – finding their voice and learning how to be strong and independent at a time when society dictated that each of them should remain in their traditional “place.” When Skeeter (Emma Stone) the new college graduate comes home full of excitement and plans to find meaningful employment, she discovers that she doesn’t quite fit in any more. Her friends from high school don’t understand why she bothered with all that education as they have each gotten married, started families, joined the Junior League, hired a colored maid to do their housework and raise their children, and embarked on a lifetime of sucking up to the mean-spirited, self-appointed queen-bee Hilly Holbrook (Bryce Dallas Howard). This is their definition of success. Hilly dominates and bullies everyone within reach, except for Skeeter who is developing the ability to think for herself. Skeeter wants to be a writer and stumbles upon an idea for a topical story when she realizes that the Civil Rights movement is not just a hiccup in the natural order of things. Her idea to interview her friends’ maids seems just plain odd to most of the young ladies, but Hilly finds it particularly offensive. Skeeter finally convinces one of the maids to be interviewed and soon learns just what it means to be black in that place at that time. The more she discovers the more she realizes just how ugly and unjust the rigid system is that seeks to maintain the status quo. Quiet, dignified Aibileen (Viola Davis), Skeeter’s main source of information, and feisty Minny (Octavia Spencer), the pessimistic realist, gradually warm up to the idea of being able to share their personal stories, but not without great fear of retribution. The lifetime of heartbreak and suffering they have experienced so far is nothing compared to the hell they will face if anyone ever finds out who Skeeter’s anonymous source is. Davis and Spencer are nothing short of phenomenal in their respective roles, both delivering Oscar-quality performances. Aibileen, Minny, and Skeeter are intertwined in this journey of discovery to find themselves and learn to be the strong, intelligent, talented women they were meant to be. Along the way we are introduced to some delightfully quirky characters; Sissy Spacek as Hilly’s “sort-of-senile” mother steals every scene she’s in and Allison Janney as Skeeter’s mother is outstanding, as is Cicely Tyson’s portrayal of the maid who raised Skeeter. Jessica Chastain is wonderful as the social outcast Celia Foote who needs a maid to teach her how to hire a maid. There isn’t a female character in this movie that doesn’t feel completely three-dimensional and real and that’s the true triumph of this movie. One minute you will laugh out loud and the next you may be choking back a tear, just like real life. 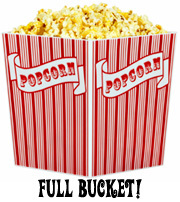 This isn’t a movie about the Civil Rights movement. It’s about the ordinary people caught up in the turmoil of changing times who didn’t have a voice or a national platform to call for societal reform. It’s about a new generation choosing to blindly accept things the way they are or to accept the challenge to make the world a better place. Anyone who doesn’t think this fictional story captures the feeling of what it was like in Mississippi during the intensity of the Civil Rights Movement did not live through it there. True, this is one story about a particular unlikely friendship that does not encompass the entire spectrum of what the struggle for civil rights was like for both blacks and whites, but the tone and the depiction of the segment of society it portrays is spot on. Filled with wit, humor, poignant moments, heartbreak, triumph, and excellent performances from a superb cast, I personally think it deserves recognition in the form of several Oscar nominations. This entry was posted in Movies and tagged 1960's, Allison Janney, Bryce Dallas Howard, Cicely Tyson, Civil Rights Movement, drama, Emma Stone, history, Jessica Chastain, Mississippi, Octavia Spencer, Viola Davis by S.D. McPhail. Bookmark the permalink. I will predict now an Oscar nomination for best adapted screenplay! Absolutely! I haven’t read the book but I can’t imagine a better screenplay based on a novel that has such a wealth of richly drawn characters. I think a huge part of the success this movie deserves is due to the collaboration between the novel’s author and the movie’s director, who happen to be long-time friends.